CORE Performance Company: Week 2! Hello again from CORE Studios in Downtown Decatur! We are a little over a week away from the premiere of SHIFT, our first concert of the season. As the date draws nearer, we are spending our time in the studio reviewing, inventing and polishing the three new works. The show will feature new dances of guest choreographers Lori Teague from Emory and Leslie Scates from Houston, Texas; artistic director Sue Schroeder will also be presenting her latest piece. SHIFT is FREE and open to the public! We are very much looking forward to sharing the work with you all and hope to see you next Saturday, September 15 at 8PM or Sunday, September 16 at 3PM. Both performances will take place in the Performing Arts Center of Decatur High School. 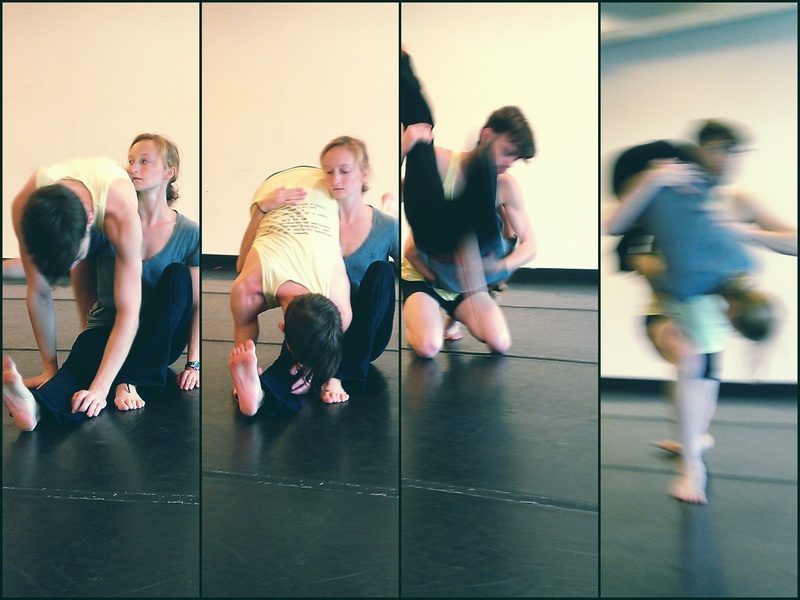 Also, please join us tomorrow, September 6th at 12PM for this season's first Lunchtime in the Studio. This free luncheon will give you the chance to meet our newest company members. Hope to see you there! 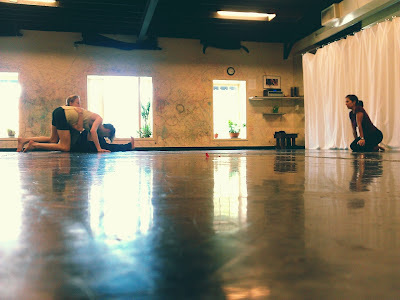 Below are a coulple photos of our rehearsal with Lori!